 Valcom Paging Systems installed by Action Communications in Houston, Conroe, Spring, Cypress, Cleveland, Clear Lake, Galveston, Beaumont, Texas and surrounding areas. We engineer our paging systems so that your messages are heard where you want them to be heard. No matter how large or small your facilities may be, we can help. Action CTI designs and installs professional facility paging and audio systems for commercial and industrial environments. We engineer our paging systems so that your messages are heard where you want them to be heard. No matter how large or small your facilities may be, we can help. We’ll integrate your paging system with just about any phone system so paging announcements can be made from any facility phone. Segmenting your facility into paging zones gives you and your staff a great deal of control over where pages are heard. Page just into a certain area, into groups of defined areas, or all-call to your entire facility. Emergency override gives you the ability to override any other audio and get an announcement out to everyone in the facility. Valcom Spot Sound Masking Speakers offer the quickest and most inexpensive approach for medical facilities to comply with HIPAA regulations regarding incidental disclosure. Create an environment where an individuals right to privacy is respected without burdening staff or compromising the organizations ability to provide patient care. When your phone system shifts over to night mode, have it send a signal to our paging system that will ring throughout your facility so that anyone in the facility will know there is an incoming call. Pipe background music throughout your facility, or only to certain areas. When a page is made, the background music mutes until the page is finished. Microphones installed at key areas in your facility can report back the ambient noise level to the paging system so that it can automatically increase or decrease the volume to that particular area accordingly. 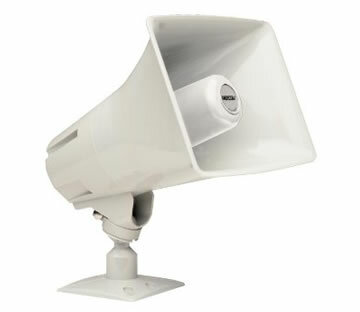 This feature is ideal for manufacturing environments or shops where loud equipment kicks on and off throughout the day. Shift Change Tones ring at programmed times according to an internal clock on the paging system. That internal clock can be auto-synchronized with an external reference clock. Preannounce tones which sound just before a page is made. Privacy beeps which sound every 15 seconds while talk-back is engaged so staff doesn’t wonder if they’re being listened in on. Emergency/shift change tones can be triggered by external equipment. Each of these tones can be enabled or disabled. Let us work with you to develop a Overhead Paging & Public Announcement system to fit your needs. Let’s get started today, just give us a call.